These loved lyrics condensed the entire story of the Zionist movement, whose central goal was to set an archetype of a new Jew: the active, self-reliant Jew, whose off his 2000 years’ addiction to miracles, who has left his ancestors’ exilic values far behind and is no longer occupied, like his forefathers, with existential issues such as an egg laid on Yom Tov, or where to hide in the next pogrom. Though he turned out to be a one hit wonder, Ze’ev’s song played a major role in the mission of Zionist spiritual leaders to re-establish Hanukkha as a national holiday rather than religious. The main motive of Hanukkah before Zionism appeared, was the religious legend about the miracle of the cruse of oil found in the temple. Chazal, who did not like the Hasmonites, to say the least, wished to undermine their part in the Hanukkah story, thus eliminate the national aspect of the holiday altogether and focus on the religious ritual instead. They felt they had a heavy responsibility as leaders of the Jews in exile, to strengthen and hearten the Jews who had no independence and no sovereignty under an everlasting threat of persecutions. The mystical religious dimension of the Hanukkah story was a comfort for the Jews, as well as a promise of a metaphysical justice one day in the future. As we all know, history is written by the winners – in our case, by Chazal for over 2000 years. The cruse of oil story is mentioned briefly in the Talmud and in Megillat Antiochus as the main reason we celebrate Hanukkah. 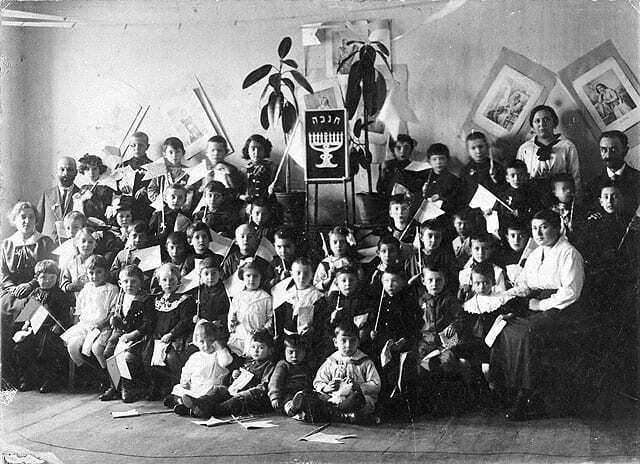 Chazal were real experts in translating ideas to rituals, and they formed many halachot as to how to light the Hanukkah menorah which became the prime symbol of the holiday. Unlike the cruse of oil miracle, composed in Babylon hundreds of years after the actual events, the historical records written shortly after the Maccabean Revolt can be found in the Jewish apocrypha, deliberately uncanonized by Chazal, mainly 1 and 2 Maccabees book, that review the events of the revolt quite accurately and have higher historical credibility than the legendary miracle story. In a nutshell, these books reveal that Antiochus’s discriminating decrees came after an internal battle of cultures between the Jerusalem elite, who adopted Hellenistic values, and fundamental groups who wished to preserve national Jewish identity. Among the Hellenized leaders were Jason and Menelaus, who bought their priesthood for fees. They turned Jerusalem into a Hellenistic Polis, established a gymnasium and an eph’bion, they wished to blur their Jewish identity and to assimilate in the advanced Hellenic culture. The Hellenized were followers of Antiochus and subjected to his orders. Some historians claim that they even initiated the decrees against the Jews. On the opposite side were the national Jewish forces, who went on a bloody battle, headed by the Maccabeans: Matityahu and his sons who fought stubbornly for over 25 years, until in 140 BCE they won their independence. If you place the Hanukkah story as delivered in the Maccabees book and the new mythology of Modern Zionism and the foundation of the State of Israel side by side, you will spot similar motives: oppressing empires, the few against many, isolationists versus universalists – and an ideologically firm minority struggling for national freedom and then the establishment of an independent Jewish sovereign entity. 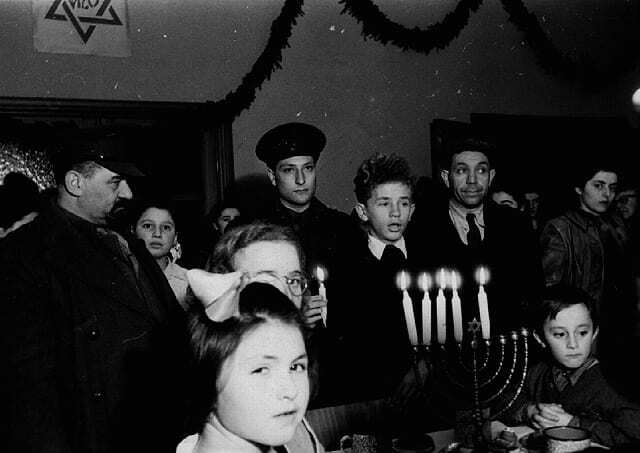 The Zionist commissars felt that the Hanukkah story was a perfect myth just waiting to be reused for their needs. There was only one problem: the focal point of the story, told for thousands of years by Chazal, was the miracle of the oil cruse, not the national struggle of the Hasmonites. Then came Aharon Ze’ev’s song and offered a simple yet brilliant solution. Using lyrics expressing secular defiance, he managed to push aside the religious components and leave only the nationalistic core. In fact, the message of the song is that like in these times, back in those times too, the real story was not the oil cruse, but the liberation from oppression and the founding of a Jewish national independent state in the Land of Israel. 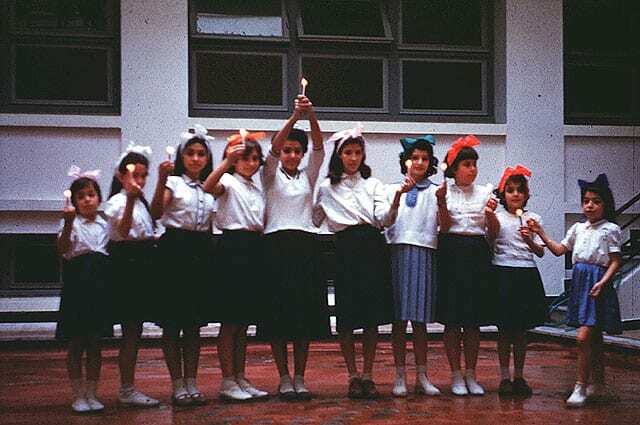 Clearly, the Zionist movement borrowed from Chazal: they wished to nationalize the holiday and use it for their needs so they interpreted the story to national rituals. 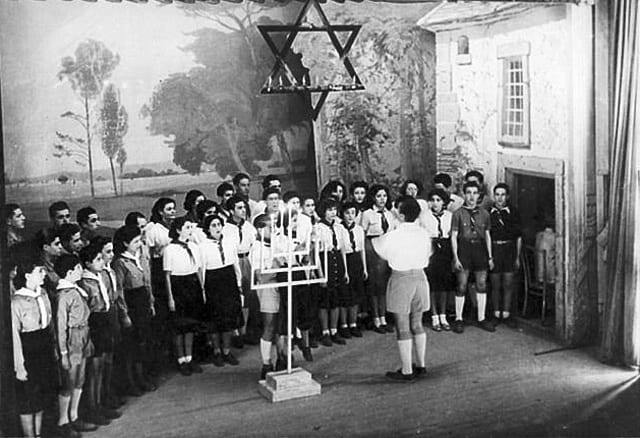 Festive sermons binding the Hasominite’s victory with the hopes for Zionism’ victory, singing, reciting, and performances were added to the traditional candles lighting (as explained in Yoram Meltzer’s “New Jewish Time”, volume 4, under “Hanukkah”). The resemblance between the ancient Jewish state and the modern one does not end here. It is most fascinating that with the establishment of the Hasmonean state, the Macabbean elite begun to adopt Hellenistic values, and push nationalistic characteristics aside. Just like the cultures war that takes place today between the “mobile” and the “immobile” in Gadi Taub’s essays. It is the same story, now as in those days. Happy Holiday.